Alexis M. Smith is a lingerer. In her latest novel, Marrow Island, she rarely lets an opportunity pass without mining it for sensuous and sensory information: the smells of rot, the stickiness of blood, the laboriousness of a cough. Lucie is not planning to eat Katie, by the way. She’s just very thorough hugger with some keen observational skills and an impressive vocabulary (especially when it comes to ecological and biological matters). An environmental reporter by trade, Lucie is driven as much by professional curiosity as nervous nostalgia back to the island in the Pacific Northwest where, 20 years ago, her father died in an earthquake. Marrow was supposed to be uninhabited all this time, as the quake toppled a refinery and unleashed chemical pollutants into the soil, but her old pal Katie and a bunch of other off-the-grid types have established a secret settlement there. Led by a quietly rebellious ex-nun, these smiling hippies are attempting to reclaim the land by carpeting it with toxin-eating mushrooms. This “Colony,” as it’s called, is hiding something ugly, of course. Smith makes that clear from the prologue, which begins with Lucie — shivering, disoriented, bruised and terrified — being rescued from Marrow Island. From there, through chapters that alternate between the main action at the Colony and two years later, we the readers are left to piece together the hows and whys of the ugliness at the narrator’s lingering pace. Still. This is not a long book. 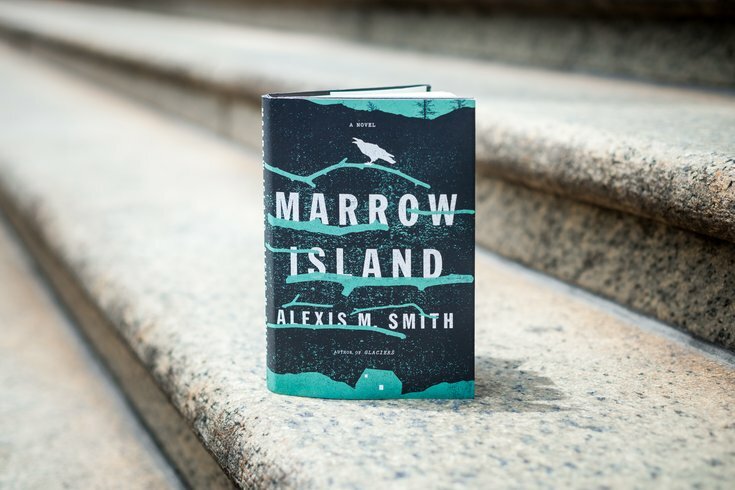 And, by the end of its 242 pages, complaints about plot missteps seem beside the point, as Marrow Island’s final fifth is some of Smith’s most vivid and frantic writing. Finally given reasons to move quickly, to act without thorough consideration, Lucie and her narration run wild through the trees. Gorgeous stuff, truly. Marrow Island ends up working not because of its storytelling but because of its sensual, striking moments. It’s a book not quickly forgotten or easily recommended.